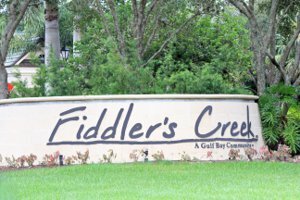 Fiddlers Creek is a five star Naples Luxury Resort Community set in a natural preserve between Naples and Marco Island. If you love golf or tennis, you will love Fiddler's Creek. David and Tracy Schulz are area experts that work with Naples resort home buyers. We have lived in Fiddlers creek for many years, and we love it. Amador homes were built from 2012 to 2014 by DR Horton Homes. The homes were 2+ den up to 4 bedrooms. The square footage under air ranges from 1,856 to 2,800 sq ft. The homes also have an attached two car garage. Bellagio village construction was started in 2001 and finished in 2006. Many of these grand homes have outstanding water and golf course views. There were 3 bedrooms plus a den with 3 bathrooms up to 4 bedrooms plus a den with 4 1/2 baths. The sizes under air range from 2,432 up to 3,700 square feet. Each of the homes have a two car garage. Bent Creek construction started in 1997 and was completed in 2000. These single family homes range in size from 1,602 to 1,857 square feet. There are from 2 bedrooms with 2 bath floorplans up to 3 bedrooms and 2 baths. Each home was built with a two car garage. Cardinal Cove homes were built from 2000 to 2003. The homes were 2 bedrooms with two baths up to 3 bedrooms and two baths. The square footage under air ranges from 1,539 to 1,913 sq ft. The homes were built with an attached two car garage. Chiasso homes construction started in 2007 and were finished by DR Horton in 2015. The homes ranged in size from 2,583 sq ft up to 4,307 sq ft and were 3 bedrooms with three and one half baths up to 4 bedrooms plus den and four and one half baths. Chiasso homes were built with an attached two or three car garage. Cotton Green homes were built from 1998 to 2003. The homes were 2+ den up to 4 bedrooms. The square footage under air ranges from 1,713 to 2,154 sq ft. The homes were built with an attached two car garage. Cranberry Crossing homes were built from 2004 to 2006. The homes were 2+ den up to 4 bedrooms. The square footage ranges from 1,843 to 2,524 sq ft. The homes were built with an attached two car garage. Isla Del Sol custom homes construction started in 2002 and the construction was finished by Stock Development in 2015. The homes were built with from 3 to 6 or more bedrooms. The size of the homes ranges from 3,597 up to 6,180 sq ft. Each of the homes were also built with space for 3 cars with attached garage(s). The community of Lagomar was built by DR Horton in Lagomar I and Lennar Homes in Lagomar II. The construction took place starting in 2015 and finished in 2017. DR Horton built 3 models ranging in size from 2,583 to 3,246 sq ft. Lennar built homes ranging from 2,244 to 2,800 sq ft. The homes in Lagomar were mostly built with 3 car garages and had 3-4 bedrooms. Mahogany Bend construction started by the original developer in 2001 and was completed in 2015 by Stock Development. The homes ranged in size from 2,972 up to 3,762 sq ft. The garages were either built for 2 or 3 car stalls. There were from 3 bedrooms up to 4+den bedrooms. The single family homes in Mallards Landing were built from 2000 to 2006, The homes had 2+den to 5+den bedrooms and were from 2,097 to 3,969 sq ft. The homes were all built with a two car garage. Development and construction in Marsh Cove started in 2015 with Ashton Woods Homes. The new home construction continues with Ashton Woods as well as with Harbourside Custom Homes - HCH and Stock Development. The homes were with 2-3 car garage(s) and had 3-4+den bedrooms. They ranged in size from 2,503 to 4,634 sq ft.
Lennar Homes was the builder that developed Millbrook. The home construction began in 2007 and was completed in 2017. The homes ranged in size from 1,649 up to 2,925 sq ft. and all have a 2 car garage and from 2+den to 4 bedrooms. Mulberry Row village construction was started in 1998 and was completed in 2012 by the original Fiddlers Creek Developer. The homes ranged in size from 2,537 up to 3,455 sq ft. The garages were built with either 2 or 3 car stalls. There were from 3 bedrooms - three baths up to 5 bedrooms with three baths. Oyster Harbor development began in 2015 by Taylor Morrison and the new home construction is ongoing. The homes were built with 2+den to 3+den and ranged in size from 1,689 to 3,439 sq ft. The homes were built with either a 2 or 3 car garage. Homes in Pepper Tree were built from 1997 to 2001 and ranged in size from 1,602 to 2,538 sq ft. They had from 2+den to 4 bedrooms and were all built with 2 car garages. Some of the most desirable homesites are located in Runaway Bay. The Club is nearby and there are amazing navagable waterway vies as well as long water over golf course views. 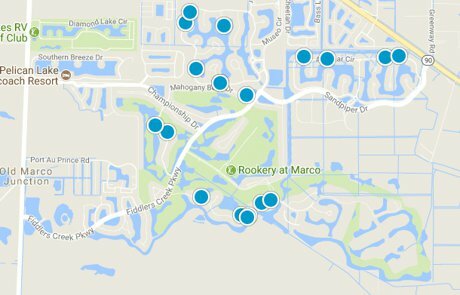 Lennar Homes began construction in 2012 and finished construction in 2016. The homes were 3-4+den and ranged in size from 2,800 to 4,660 sq ft. Models were available in either single or two story. The homes in Sauvignon were all built in 2007. The location offers excellent views of the Mariott - Rookery Golf Course. The homes were built with from 2,450 to 3,700 sq ft. They were all built with 2 car garages with a courtyard style driveway entrance. The homes had from 3 to 4+ bedrooms. Gulf Bay is the original developer that created the infrastructure and started the development. Their goal was to create a world class five star resort with elite golf and tennis amenities in a resort setting. Originally the developer was deeply involved with the building and development. However, times have changed and other builders like Ashton Woods Homes, DR Horton, Lennar, Taylor Morrison and Stock Development are now buying up land and finishing the community. 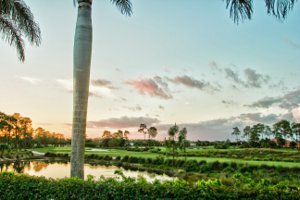 Many residents have chosen this community because it features some of the best luxury golf and resort amenities in Southwest Florida. The Naples Rookery Golf Course and driving range is a highlight for golfers. The development has many special features for members to enjoy. There are resort pools with concierge services around the pool. At the club house there is a state of the art fitness center. The development is set in a natural estuary with many outdoor natural amenities. Ownership requires membership in the exclusive Members Only Club and Spa. Members also have available membership in both a Naples deep water marina. We can show you the Tarpon Bay Marina on the Isles of Capri. We can also show you the beach club on Marco Island. 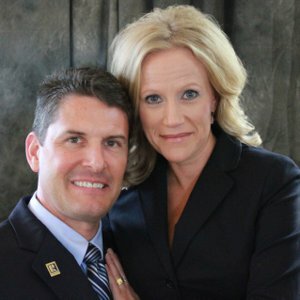 David and Tracy Schulz research the market regularly in order to help our customers. Fiddlers Creek offers some of the best luxury golf and resort amenities in Southwest Florida. The Arthur Hills built Rookery Golf Course and driving range is a highlight for golfers. The development has many special features for members to enjoy. 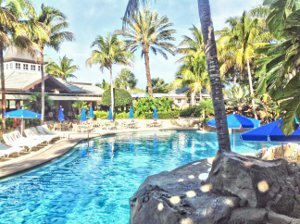 There are resort pools with concierge services around the pool. At the club house there is a state of the art fitness center. The development is set in a natural estuary with many outdoor natural amenities.